High temperature, grogged but fairly smooth, plastic, non-vitreous, white buff burning, native body for reduction fired handbuilding and sculpture. This is our most refractory body. It is made from 50% of a high coal very white burning plastic fireclay along with 18% grog and a mix of stoneware and ball clays. H441G is good for sculpture and other types of work where forms are subject to warping in the kiln (i.e. overhung, appendages sticking out, shapes lacking strength). H441G fires much whiter than typical sculpture clays. 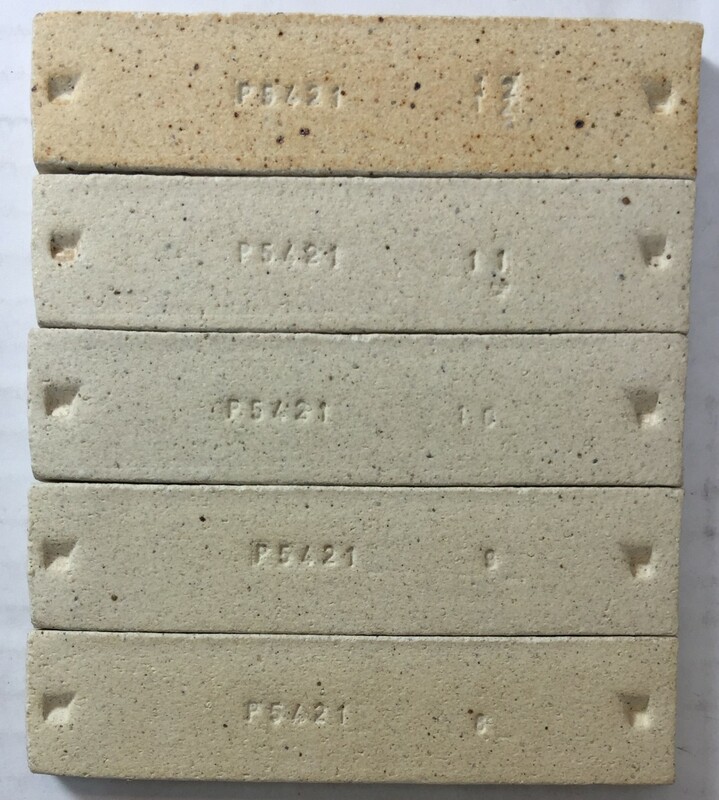 It does have some soluble salts discoloration on the surface and these enhance textures and contours on unglazed pieces (in reduction firing). If you need a darker firing material, try H440G. Although H441G does throw quite well, we do not recommend it for functional ware because of its refractory nature. MSculp is an alternative. It is more vitreous and has much more larger particle grog. H441G vents water better than our non-grogged materials, it has a lower drying shrinkage, and it does not propagate cracks as much. The grog also assists the healing process during joining. When attaching pieces we recommend that you use slip of low water content, apply as much pressure as possible, and move surfaces latterally against each other so that the slip can fix the two together firmly. H441G has a base which masks the feel of the grog somewhat so it is possible to throw it with less discomfort than H440G. H441G thrown vessel. Yes, it is smooth enough to throw. Thicker ware or pieces of uneven cross section should be given adequate time to dry. Thus it is often necessary to cover larger pieces with cloth and plastic to slow drying down enough to make sure it occurs evenly throughout. Final drying should be done under heated conditions to assure that all water is expelled before firing. We recommend that you preheat your kiln overnight on low to give plenty of time for remaining water to be removed. This is especially true in electric kilns where there is no draft to take water vapor away. Our grog clays are somewhat susceptible to water splitting because the grog exists in a matrix that contains sand and coarse clay particles. While this open structure has advantages, one of the disadvantages is that water left on the plastic surface can start splits, these can propagate and cause a piece to collapse. Cone 8 to 11 oxidation (bottom upward) and cone 10R (top). H441G's light fired color is due to its refractory nature, little glass is formed to amplify the color of iron in the body. The fired color is very stable across the cone 8 to 11 oxidation range. At cone 10R the color is quite similar to the oxidation equivalent except the surface will usually exhibit some grey patching as microscopic areas begin to vitrify (turning a light grey that radiates outward). H441G does have some iron speckle that displays in a scattered pattern in reduction. It is best to fire larger sculptural forms on a thick slab made from the same clay. This slab will absorb the stresses associated with shrinkage and help prevent cracking and warping. Since H441G is quite porous and non-vitreous, it is stable in the kiln. It is the best choice if you need to create pieces that have overhung or exaggerated shapes that might otherwise warp during firing. If ware is to be put outdoors, seal the pore structure against water absorption and associated damage due to freeze-thaw (building supply stores have sealant products used for concrete and brick). Since H441G is light firing in reduction, it will not significantly affect glazes and colors. However H441G can contain significant amounts of iron stone concretion particles which melt vigorously in high temperature reduction and bleed up through glazes. These create 'iron blossoms'. The amount of iron speckle can vary a little from run to run (and from variations in reduction in your firing). Most sculptors find that slips and oxides are effective with this type of material, especially if the surface has been altered or treated in any way. However, be careful to match the firing and drying shrinkage of the slip to the body. 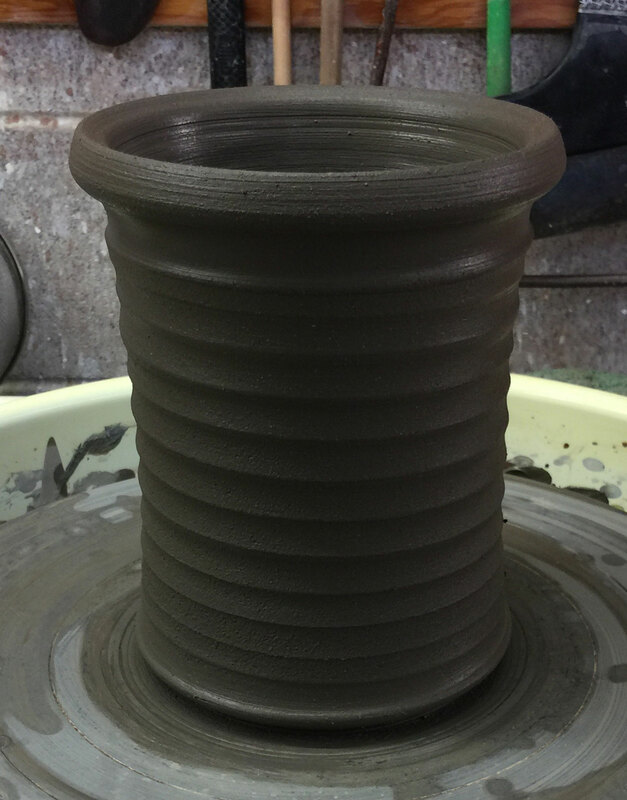 H441G thrown cylinders with G2571A liner glaze. 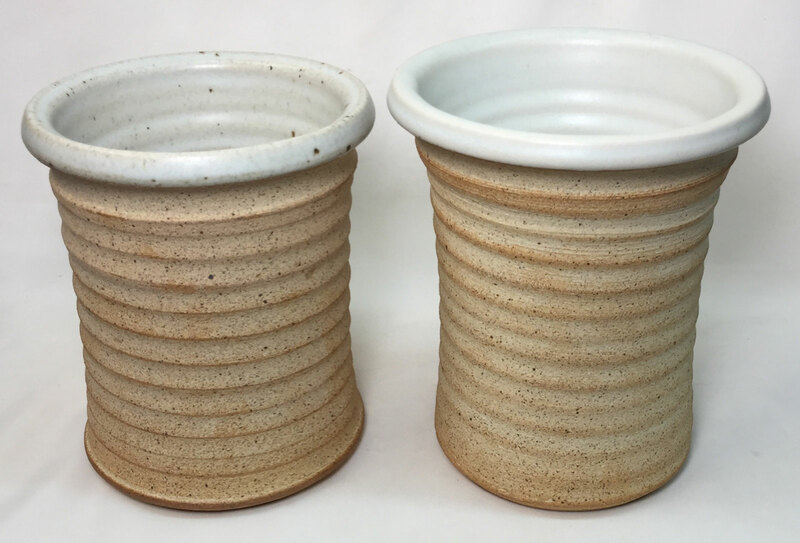 The right-most cylinder has L3954H white engobe under the glaze.